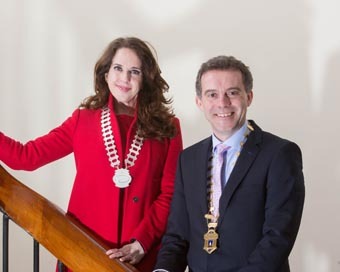 Network Cork, the Cork branch of Network Ireland, in association with Cork Chamber will host a ‘Women in Leadership’ executive lunch on Friday, 22nd of April at the Ambassador Hotel, with special guest speaker Deirdre Somers, one of Ireland’s most prominent business women. Deirdre Somers was appointed Chief Executive of the Irish Stock Exchange (ISE) in June 2007. During her tenure the ISE modernised its structure, expanded its services domestically and internationally, rising to #1 stock exchange globally in fixed income and funds listings. The ISE was awarded Best Place to Work in Ireland (medium sized companies) just last month. She is currently President of the Federation of European Securities Exchanges. Deirdre is outspoken about the importance of the role of markets as a relevant and accessible funding source for companies, particularly for high potential SMEs and is looking forward to sharing her views with the people of Cork. The executive lunch will celebrate the high calibre of women in leadership positions and will be attended by some of the most dynamic and influential business people in the region.